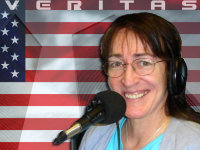 Dr. Judy Wood discussed her new book: Where Did The Towers Go? 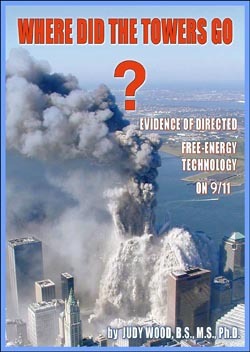 : The Evidence of Directed Energy Technology on 9/11. For the record, I do not believe that our government is responsible for executing the events of 9/11/01 – nor do I believe that our government is not responsible for executing the events of 9/11/01. This is not a case of belief. This is a crime that should be solved by a forensic study of the evidence. Before it can be determined who did it, it must first be determined what was done and how it was done. Let us remember what is required to convict someone of a crime. You cannot convict someone of a crime based on belief. You cannot convict someone of a crime if you don’t even know what crime to charge them with. If you accuse someone of murder using a gun, you’d better be sure the body has a bullet hole in it. And yet before noon on 9/11/01, we were told who had done it and how it had been done, this before any investigation had even been conducted to determine what had been done. My own research, not speculation, is a forensics investigation of what happened to the WTC complex on 9/11/01. I don’t address who did it, nor am I concerned with that question. Before issues of that kind can be addressed, we must first determine what happened, and that is the objective of my research. By definition, research that is purely empirical cannot be about and has nothing to do with conspiracy theory of any kind. The fact that others (in the mainstream media, the alternative media, and the so-called “9/11 truth movement”) promote various theories about 9/11 is irrelevant to my research. On the other hand, to determine what happened, we must address all of the available evidence. Anyone declaring who did what or how they did it before they have determined what was done is merely promoting either speculation or propaganda. The popular chant, “9/11 was an inside job,” is, scientifically speaking, no different from the chant that “19 bad guys with box cutters did it” Neither one is the result of a scientific investigation supported by evidence that would be admissible in court. Neither identifies what crime was committed or how it was committed. So let us consider the body of empirical evidence that must be explained in order to determine what happened.12 What is presented here is not a theory and it is not speculation. It is evidence. Here, then, is the evidence of what happened on 9/11/01.